St Mary’s Churchyard has played a part in the history of our nation as well as witnessing family tragedies, and deaths which were violent or occurred far from home. Near Edmund Waller’s tomb is that of his niece, Lady Ann Hyde, daughter of his sister Cicelia whose husband, Nathaniel Tomkins, was persuaded by Waller to take part in the Gunpowder Plot and subsequently hanged, a fate Waller avoided. 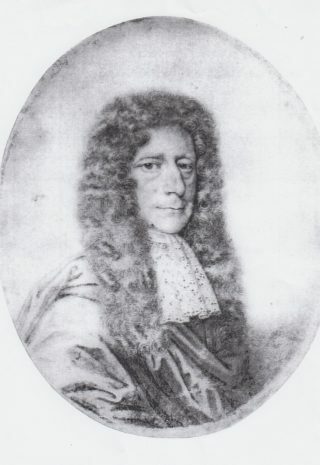 Nearly 30 years later, John Hampden used the churchyard to muster militia bands in defence of Protestantism. Although many graves no longer exist, a catalogue compiled in 1968 by Mrs Margaret Rutter, records one of the earliest as that of Robert Jones a visiting “salesman of the Parish of St Giles in the Field of London” who died in 1745. Another dated 1810 was of Mrs Charlotte Mottley of “St Mary le Bonne, London” who died on her way to the spa at Cheltenham. At the time of the Annual Fair a wreath would be laid on the grave of a Maryann Mallet who died in 1892. Two who died violent deaths were a farmer, Samuel John Paul, who poisoned himself in 1846 and, suicide then being a crime, was buried in the churchyard at night. It is not known if, as was often the case, if this was done in the absence of mourners or clergy. Another was the victim of a brawl involving “a tramping air-balloon vendor”. 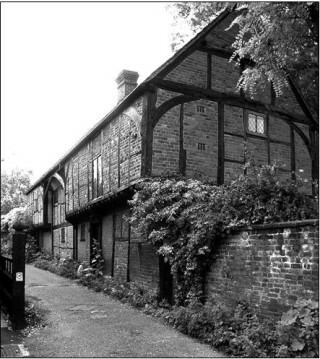 Many townspeople lived into their 90s – one of whom claimed assistance from a Beaconsfield charity for orphans on the grounds that he had lost both parents. There were many deaths in infancy or childhood. The Charsley family, who for nearly 200 years were the town’s lawyers, lost a baby boy in infancy, and twin sisters aged six within a week of one another. Before the Fitzwilliams Centre opened in 1995, public meetings were held in what is now the Masonic Centre and smaller gatherings in Capel House which was shared with the Rectory stables. 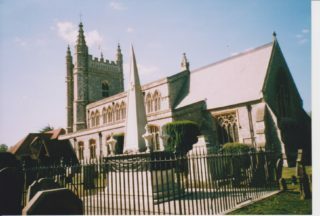 When, in 1899, the Bishop of Oxford, dedicated an extension to the churchyard, he took the opportunity to reflect public opinion by attacking cremation as unnatural and contrary to Christian teaching. Although it had been made legal 14 years previously, nationwide fewer than 4,500, that is to say about two and a half times the population of Beaconsfield at that time, were cremated. Hi this wasn’t the Gunpowder plot 1605 against James I and his parliament, it was a Royalist Uprising In 1643 – and he was hung in Fetters lane just up the road from his house – for his part in it – Edmund Waller got a way with it. I dont want people getting confused like I did!